Martial arts, life skills, and self-defense lessons for kids, teens, and adults in McKinney, Prosper, Plano, Allen, and the surrounding areas. Fill out the form below to get started today. We combine the traditions established in taekwondo, the world’s most popular martial art form, with the latest advances in physical fitness. Those elements together, along with aspects of other martial art forms, combine to form a workout that will improve your health, flexibility, and endurance. Regular martial arts training will help you lose weight, improve your cardiovascular health, and strengthen core muscles. After a few martial arts lessons, you will notice a change within yourself. You’ll start feeling better, eating healthier, and being more active. Tiger-Rock Martial Arts of McKinney offers afternoon and Saturday lessons for kids, teens, and adults. It is an incredible after-school activity for elementary, middle, and high school students. Plus, it is also the perfect after work activity with adult martial arts classes in the evening. The Tiger-Rock Certified Instructor team aims to provide a positive and energetic training environment. The team will help you set goals, achieve those goals, and help you accomplish things you never thought possible. Martial arts is FUN. And at Tiger-Rock Martial Arts, we want you to be excited about getting on-the-mat and learning awesome martial arts techniques, key life skills, and important self-defense tactics. Plus, with unlimited attendance privileges, you will always want to be at Tiger-Rock! Click here to find out how you can start today! 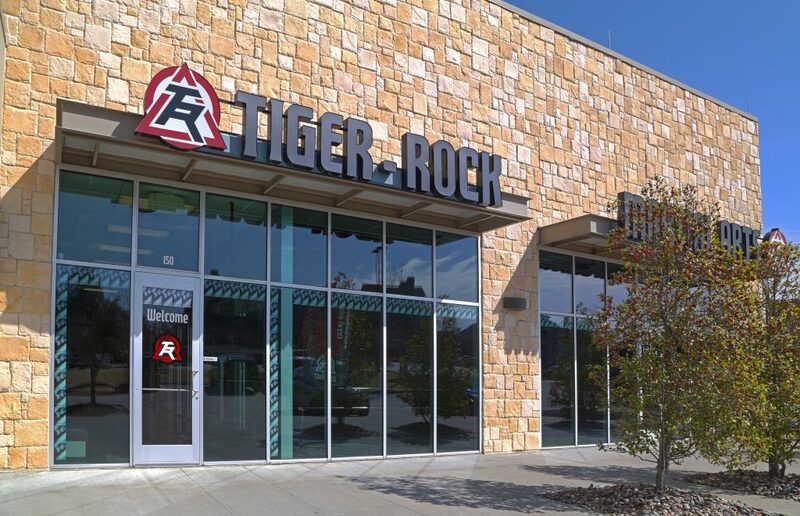 Tiger Rock Martial Arts of McKinney has had people of all ages and from all walks of life grow their character, strength, and discipline in the most challenging and rewarding martial arts program in all of the Metroplex. Through our innovative martial arts instruction and fitness training that emphasizes what the student does right, Tiger Rock Martial Arts of McKinney physically and mentally challenges each student to not only be the best martial artist they can be, but the best person as well. Students from McKinney, Plano, Allen, Melissa, Princeton, and Prosper come to our academy for martial arts training. Tiger Rock Martial Arts of McKinney features four programs for different age groups — the Tiger Cubs for early ages, the Juniors for elementary and middle school kids, the Teens program for junior high and high school students, and the Adults program. Tiger Rock Martial Arts of McKinney is located on 7250 Virginia Parkway near Stonebridge Drive in western McKinney, just minutes away from North Central Expressway and the Sam Rayburn Tollway. We’ll see you on the mat! Fill out this form for pricing and class schedule information! Fill out this form for pricing information and our class schedule!